Please follow our belt sizing instructions when placing a belt order with JooJoobs. These instructions, if followed correctly, will ensure a perfect fit. Please take the time to read this section carefully. 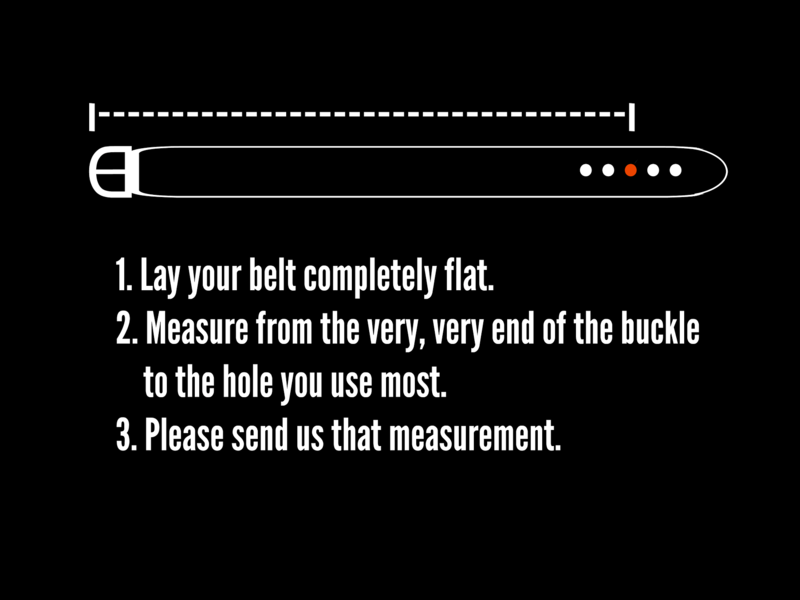 Take an existing belt that you currently use and follow the instructions below. If you have any questions, please feel free to send us a message. We love talking with our customers. PS. If you’re unable to find your size from the sizing options, leave us a note when ordering, exactly the size you need, following our sizing instructions.